Berlin, Tokyo, November 13, 2018 — Spin Digital Video Technologies GmbH (Spin Digital) will participate at InterBEE 2018 presenting new demonstrations of emerging applications including 8K live streaming over the Internet, 16K IP streaming, and playback of high-quality 360° video. InterBEE will take place from November 14th to 16th at the Makuhari Messe in Tokyo. Spin Digital will present demonstrations together with NHK MT (Booth No.2712), AZLAB (Booth No.5207), and ELSA (Booth No.6202). 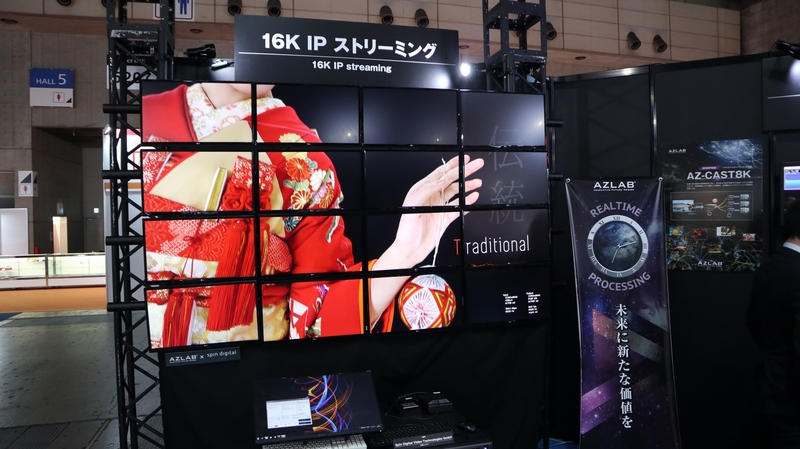 Spin Digital, NHK Media Technology, Inc. (NHK-MT), and Technology Joint Corporation (TJC) have developed a system for 8K live streaming over the Internet. It includes 8K real-time encoding from live camera sources, live streaming using Amazon Web services (AWS) cloud and general public Internet, and playback on the client device using the Spin Digital Media Player (Spin Player) software solution. The new developments allow to create solutions for streaming live 8K video content, including 22.2 channel audio, that are cost-effective and highly scalable, and are based on standard internet streaming technologies such as HLS. Spin Digital will demonstrate together with AZLAB a solution for streaming and playback of HEVC video in 16K resolution. 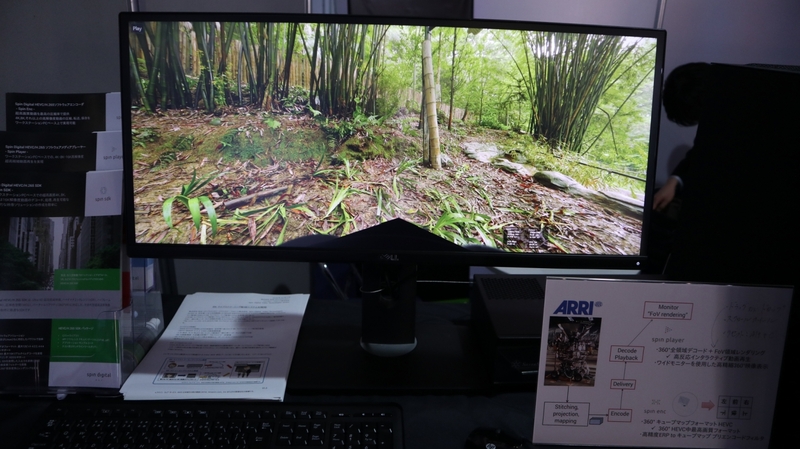 16K video enables a new generation of very large screen and immersive applications. Spin Player has been optimized for very high performance on recent CPU architectures and is able now to play 16Kp60 HEVC content using a single workstation. The content is streamed to the client device using an IP solution based on RTP. Spin Player has been extended for better support of high bitrate RTP streaming. Together with ELSA Spin Digital is presenting a demonstration of 8K and 360-degree media playback for ultra-high-quality and immersive media. The high-performance optimizations implemented in Spin Player allow to create compact and low-cost solutions for 8K HEVC playback for normal 2D and 360-degree video. As VR technologies improve over time, there is a clear demand for higher resolution 360-degree content. Spin Player can support now 8K playback on desktop PCs (based on Intel Core i9 CPUs) and has enabled support for 360-degree playback and navigation. Spin Digital media player is capable of reproducing 8K and 16K content using standard PC systems. The player is based on Spin Digital’s HEVC high performance decoder and video rendering SDK. A new version of the Spin Player will be released soon including higher performance, 360-degree video playback, better HLS and RTP streaming support, and several other features. 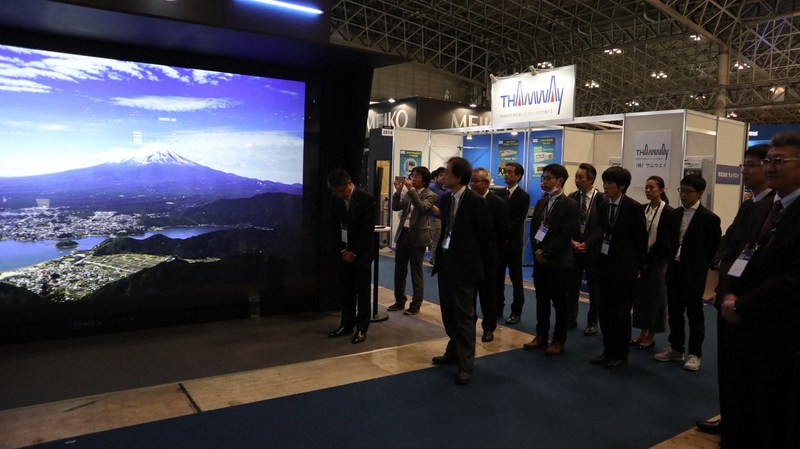 Visit us at the Makuhari Messe: NHK MT booth (No.2712), AZLAB booth (No.5207), and ELSA booth (No.6202). Arrange a meeting with us to learn more about our products or discuss how Spin Digital can help you with 8K & 16K video using HEVC software video codecs.